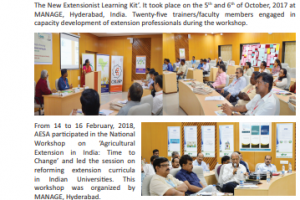 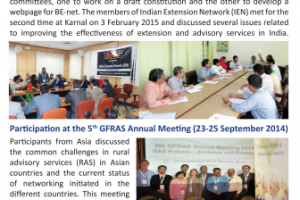 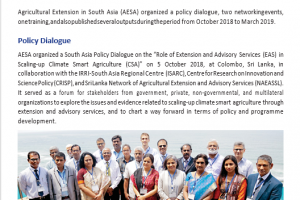 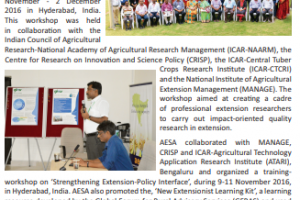 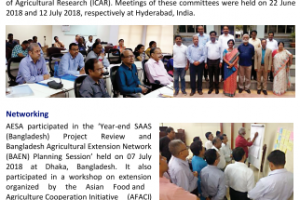 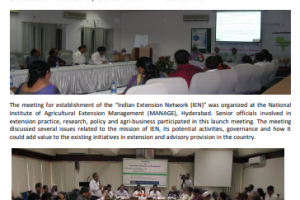 AESA organized workshops, strengthened networking and published a Manual on Good Practices in Extension Research and Evaluation. 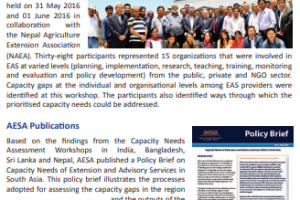 AESA made progress on capacity needs assessment, publications, networking, and knowledge management in the past six months. 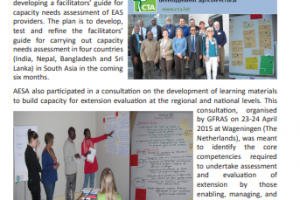 AESA progressed on capacity needs assessment, networking, governance and knowledge management during this period. 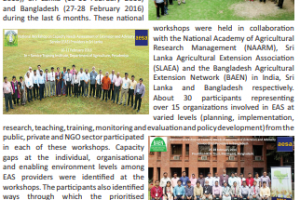 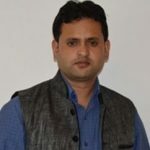 AESA progressed on capacity development, networking and knowledge management in the past six months. 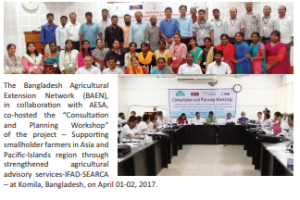 AESA made considerable progress in networking and knowledge management during the past six months.